Exporting lists is not a feature that we support on Education Perfect. 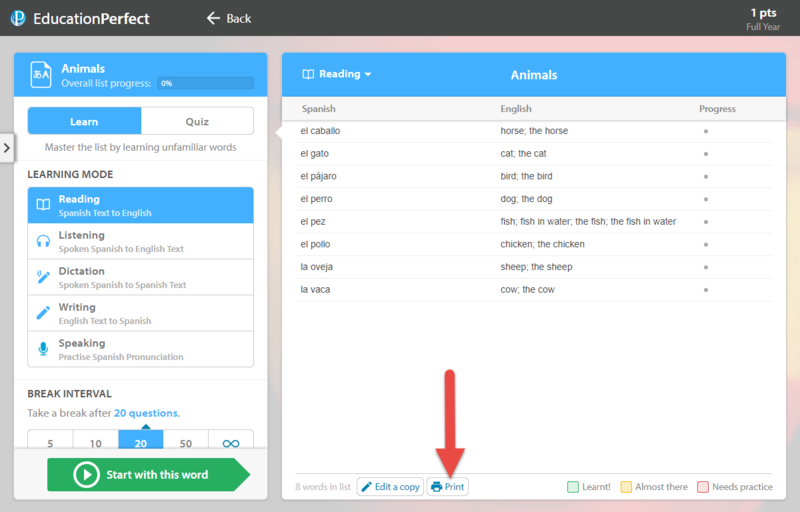 However you can easily print vocabulary, fact or spelling lists from the Control Panel, and students can print them from within their Student Zone. 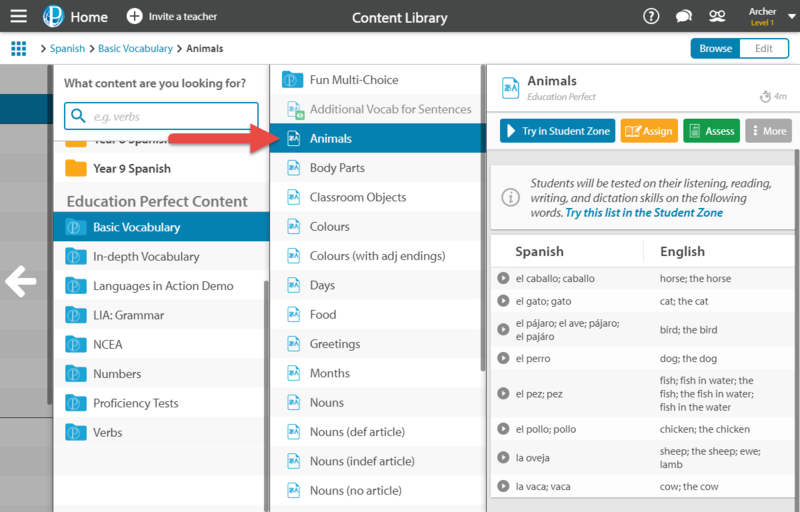 Education Perfect does not have the option to export lists created by Education Perfect or based on textbooks due to copyright restrictions. However, you are welcome to print out our lists for use in your class. If you would like a spreadsheet export of a list you have created yourself, please contact us at support@educationperfect.com. 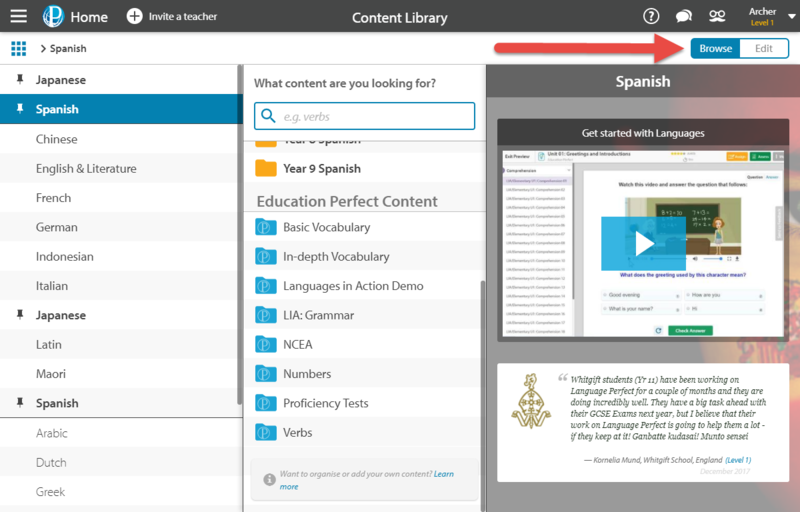 To print out a list, navigate to the Content Library in your Control Panel. Set the view to Browse by clicking the Browse button at the top right-hand corner of the screen. Select the list you would like to print. Click More in the top right-hand corner of the screen and then select Print List. 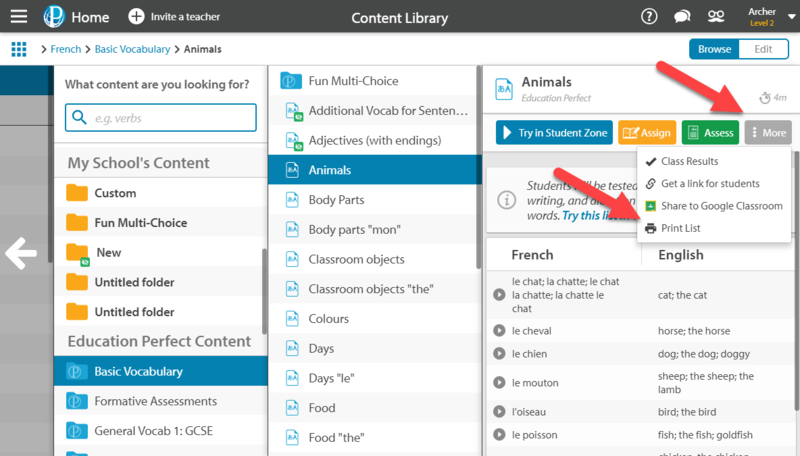 Students can also print lists from their Student Zone. They can do this by loading the list and clicking the Print button at the bottom of the page.